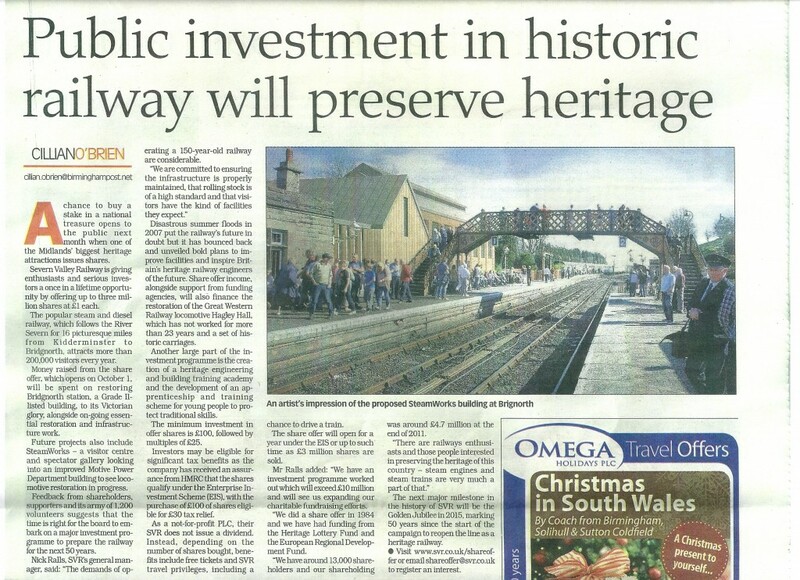 CGM’s relationship with the popular Midland heritage railway line began in spring 2012 when we were asked to provide media relations support for the visit of the London 2012 Olympics Torch Relay in May. The visit received extensive broadcast, print and online coverage courtesy of a wide range of organisations including BBC Midlands Today, Central News, BBC Hereford and Worcester and the Express and Star. CGM was then delighted to be offered the opportunity to help promote the SVR’s ground-breaking £3 million share offer. The media and public response was staggering with the £1 million mark reached in December 2012 – less than three months after the launch on October 1. 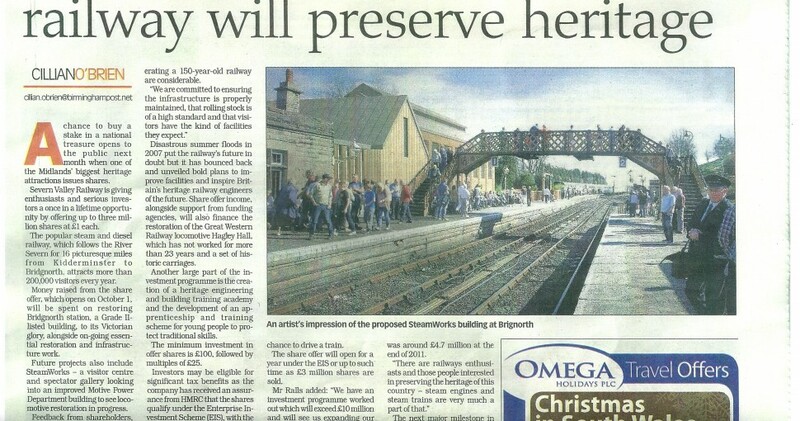 The momentum continued in 2013 as the total rose to £2 million and the SVR’s heritage skills training academy was launched. This was featured on Inside Out in the West Midlands. CGM also provided media relations support for the fund-raising Head to Head Challenge between a loco and Morgan three-wheeler in October 2012.